The free-loving Queen in you will swoon for this delicate and serene zen den! Invite your guests to an enchanting evening of dreamlike decadence. 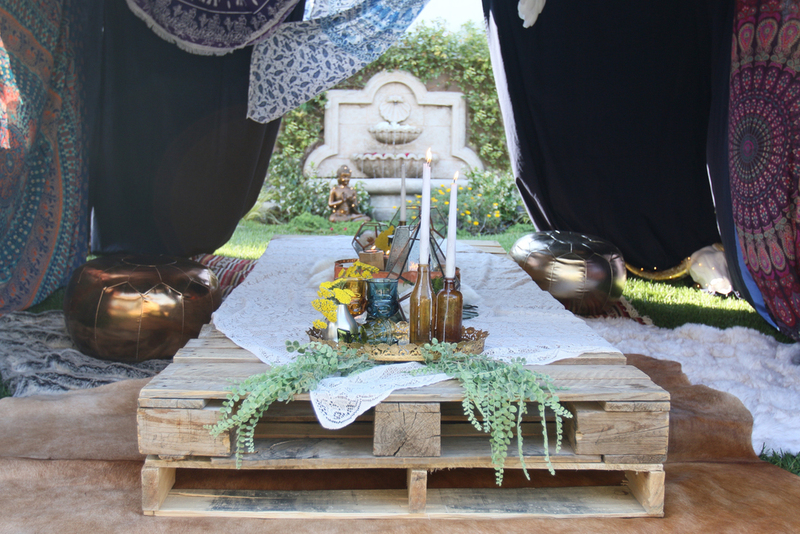 A gypsy inspired tent to cozy up in, dripping in gold and silver accents, feather and beaded ornaments, candlelight, faux furs, colorful textiles and low seating is the easiest way to charm the crowns off even the most majestic guest of honor. Check out what can be included in this collection here, and don't miss our additional add-ons below to make planning your event as seamless as possible. Whether you want to DIY or have your event setup by our team of professional designers, we have a package for you.